20 years is an insignificant moment for a planet’s life, but it is considerable time for the development of a state, as for a man it is a long period. Exactly two decades ago at the Summit on Earth Problems in Rio de Janeiro leaders from more than 100 countries after approving “Agenda for 21 century” worked out a program on sustainable development security. It touched upon such problems as poverty, demographic tension, structure of international economics; it also gave recommendations concerning atmosphere, ocean and biodiversity protection and reduction in conspicuous consumption. Unfortunately, none of these problems has been solved by the international community and has been excluded from “Agenda”. The countries met in Rio de Janeiro again to discuss problems on economics, sustainable development and poverty eradication. The importance and significance of “Rio+20” shows even the composition of its participants: more than 100 heads of states and governments, nearly 490 ministers, delegations from more than 200 countries, scientists and experts-ecologists including. The organizers say that this conference of 2012 has become a large-scale event in the history of the UN! Preparations for such a large-scale event lasted more than a year. Negotiations between delegations and agreement of the summit resulting document – the declaration with a symbolic name “The Future We Want” - were rather elaborate. The participants of the conference could not find a suitable (for everybody) answer to the key questions on formation procedures of funds-in-trust and financing programs of sustainable development. According to experts’ opinion, the position of the developed countries was influenced by the financial-economic crisis they are experiencing now. As a result Brazil as a summit host offered a new variant of the declaration with modifying statements at most and removing disputed moments. Thereby, due to ardent arguments and discordant opinions of developed and developing countries “The Future” contains only those paragraphs which the majority of the participants agreed with. 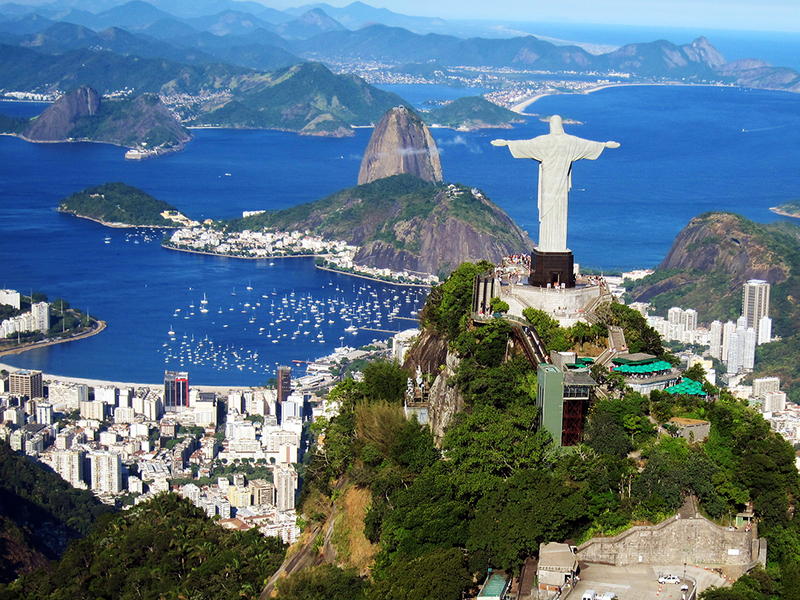 EU representatives criticized the Brazilian variant by saying that it is not quite ambitious. Europeans emphasized conservancy, while developing countries insisted on introduction of obligations for developed countries to help underdeveloped ones. Representatives of “small” countries made use of criticizing “big” countries. However, after the first round of talks delegates from 193 countries approved the draft resolution. The compromise and considerably reduced in volume document was adopted. Summit participants differ in its assessments. In UN General Secretary Ban Ki-moon’s opinion, the final declaration “Rio+20” provides “a great number of actions” and will promote “global positive changes”. If all stated measures and steps are taken, “the document will play a big role in achieving global positive changes”. The UN General Secretary noted that the old model of economic development had lost its efficiency and the mankind was entering a new époque. According to statistic data, we will need by 40 % energy and by 1/3 water more by 2030 than nowadays if we want to keep the current life standard with maintenance of population increase rate. Ban Ki-moon called countries to overcome private interests in the name of future generations. The chairman of the conference, President of Brazil Dilma Rousseff added that sustainable development in “The Future We Want” is closely connected with the problem of poverty eradication which is actual for developing countries Brazil including. “Value of inactivity today is higher than value of taking steps in the name of the future,” thinks the head of the Brazilian state. Prime-Minister Dmitry Medvedev submitted the Russian view on a new paradigm of sustainable development. He spoke about attitudes of Moscow to all issues touched upon at the conference, but the greater part of attention was devoted to “green” economics. “We must carry out stable models of production and consumption which enable us to provide a sustainable growth in economics and will remove all threatens – crucial threatens- for ecology,” stressed Medvedev. “Society, economics and nature are inseparable.” Russia supports a balanced and aimed at a long-tern perspective approach; it is essential to have an innovative growth and an increase in power efficient economics which is beneficial for all countries. While speaking about the model of “green growth”, the Russian prime-minister noted that there was no sense in making this process bureaucratic. “It is a choice of every state to follow its own plans, but it is important that these plans were publicly announced and mechanisms of constant exchange of best practices and technologies in the field of “green development” existed and was applied,” he said. “Russia is rich in raw materials, but we are building economics of knowledge and high technologies, increasing finance of fundamental and applied science, introducing new technologies,” said Dmitry Medvedev and explained how programs of energy conservation and ecological technologies are introduced into industry. “We think crucially important to provide coordination in energy policy of all leading world’s countries,” he stated. Particular attention in Russia is paid to termination of accumulated ecological waste and creation of a modern system of waste recycling. The prime-minister admitted that the country is only at the very start in this sphere. “We work with the support of private and public partnership and think that participation of Non-governmental organizations (NGOs) in this process is one of the principles of authority activity at all levels,” pointed Medvedev and added that at present almost 80 ecological organizations including the World Wildlife Fund and “Greenpeace” are working in Russia. Ecological organizations are “difficult partners but it is the state that must support them,” thinks the Russian prime-minister. Ecologists characterized the summit results and the document signed by the leaders rather critically and sharply. “Greenpeace” said about “the failure”, and the World Wildlife Fund (WWF) called the main regulations “weak statements”. Though it marked that mutual activities on biological diversity and ocean ecological environment protection are quite rational. The main obstacle was difference of positions on subsidizing fossil fuel production. Ecological organizations insist that these means should be redirected at aims which correspond to principles of sustainable development, at development of renewable energy in particular. According to independent experts’ estimates, annual worldwide volume of such subsidies is from $775bn to $1trl. But at the summit the countries confirmed their obligations to gradually refuse from fossil fuel subsidizing without specifying concrete terms and volumes. Ecologists were also disappointed by the decision not to raise the status of the United Nations Environment Program (UNEP) to the status of the organizations such as the World Health Organization (WHO) or World Meteorological Organization (WMO). However, the role of the UNEP was strengthened at the cost of increase in membership of the countries in the board of governors and finance rise. Ecologists came to the conclusion that the world community is not ready yet for radical mutual actions on which ecological organizations insist. In spite of differences in opinions, all the participants of “Rio+20” make special mention of the significance of the fact that the term “green economics” has been introduced which is considered an indispensable condition of sustainable development providing economic growth, poverty eradication and environment protection. Each of the countries which signed the declaration “The Future We Want” is taking steps to solve current problems and achieving purposes of sustainable development. Indeed, in Russia a careful attitude towards resources and environment and also attention to sustainable development are becoming an indispensable condition of major infrastructure project realization. For example, to protect the environment Mining-Metallurgical Company “Norilsk Nickel”, the world’s largest producer of nickel and palladium, upgrades production, introduces new technologies, and realizes projects in environment protection sphere. In 2004-2011 the company spent more than 90bn rubles to solve ecological issues. Lately there has been a constant decrease in atmospheric emission. MMC “Norilsk Nickel” announced an international tender in accordance with the results of which it selected a contractor to introduce the newest world’s achievements on sulphur dioxide recycling which enables to decrease its emission to a fourth. After the completion of sulphur workshops at Medny and Nadezdinsky metallurgical works there will be recycled not less than 95% sulphur dioxide from waste gas of metallurgical production. The company takes measures on prevention and decrease in waste dumping and waste water. For example, in the Arctic branch the system of closed technological water circulation has been introduced. In whole water volume in water circulation is more than 90% of total volume of used water. The important task of MMC “Norilsk Nickel” is waste disposal, deactivation and recycling. The company uses up to 60% of all waste. The company and the Federal Service for Supervision of Natural Resources (Rosprirodnadzor) signed an agreement concerning cooperation on decrease of waste emission into Norilsk atmosphere. Hereby, an important precedent of cooperation between the controlling unit and the economic player has been established. The agreement will enable to perfect new relations between power and business, comply with interest balance between economic development of the region and fulfillment of ecological standards. In accordance with summit “Rio+20” results serious measures on making world economics “green” are projected. Besides the general declaration in Rio de Janeiro 700 obligations are claimed as a whole. Thus, leaders of eight international banks of development took a decision within 10 years to allocate $175bn on development of ecological transport systems. Tens of billions of dollars are promised for financing the UN Global initiative on provision of universal access to modern power sources. “It is another demonstration of how “Rio+20” mobilized the global movement to changes,” said UN head Ban Ki-moon. He added that the Conference was noted for obligations of states and their partners and nowadays it is the time of their realization.